Heartwalk is a very special public art installation that goes above and beyond the call for a romantic piece celebrating Valentine’s Day. Situ Studio took inspiration from the collective experience of Hurricane Sandy and the love that binds people together during trying times. The aftermath of the storm confronted all New Yorkers and New Jerseyans with the challenge of being inventive, resourceful, and most importantly, empathetic—the familiarity of the day-to-day was transformed into something extraordinary. 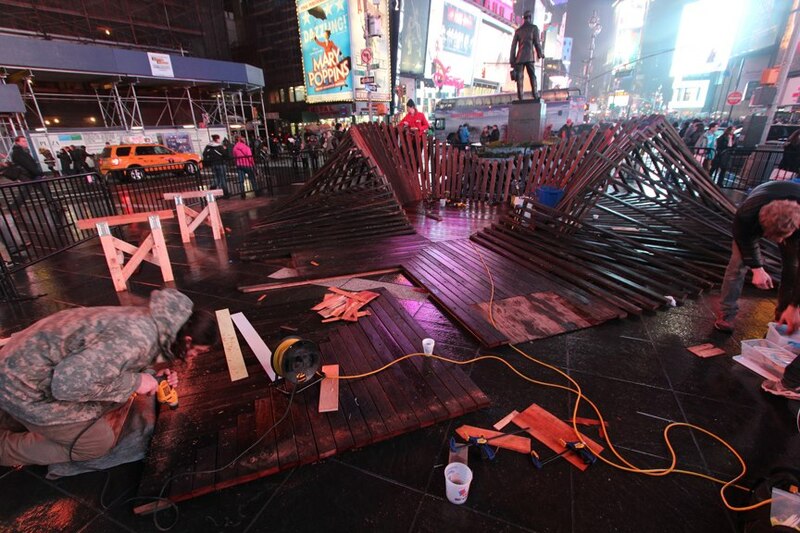 Using boardwalk boards salvaged during Sandy’s aftermath—from the Rockaways, Queens, New York; Long Beach, New York; Sea Girt, New Jersey; and Atlantic City, New Jersey—Heartwalk begins as two ribbons of wooden plans that fluidly lift from the ground to form a heart-shaped enclosure in the middle of Duffy Square. 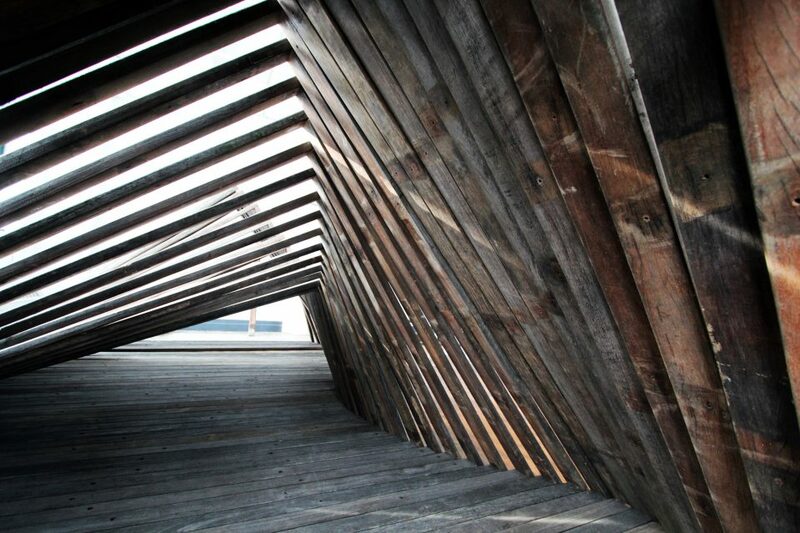 The slatted construction, illuminated from within, provides varied views of the interior as visitors move around the perimeter of the installation. Visitors can also enter the installation and literally stand in the heart of the world’s greatest city. “This heart is a frame for lovers and a great civic gesture commemorating the outpouring of support and help in the wake of Sandy,” said Barry Bergdoll, The Philip Johnson Chief Curator of Architecture and Design, The Museum of Modern Art, and jury member. The installation will remain on view until March 8th. 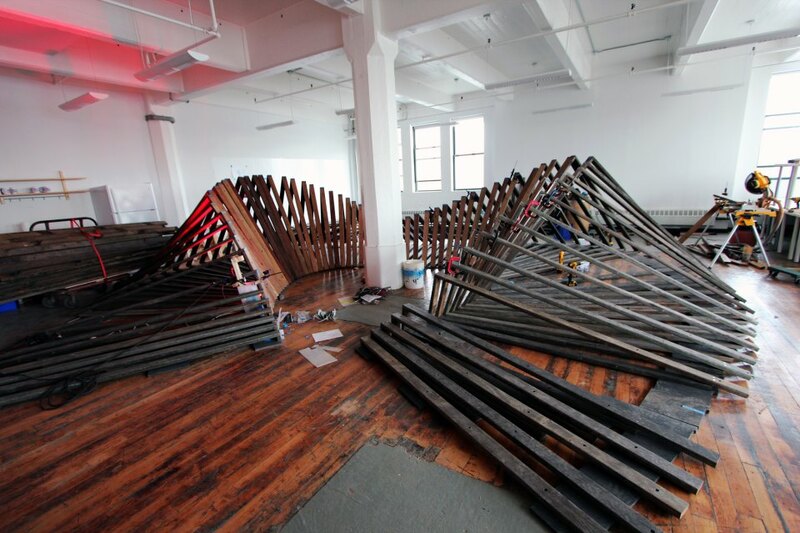 All installation photos via Situ Studio.